This year’s crop of reissued classics showcases the vibrant world of small and large imprints keeping great works of crime both accessible and affordable. 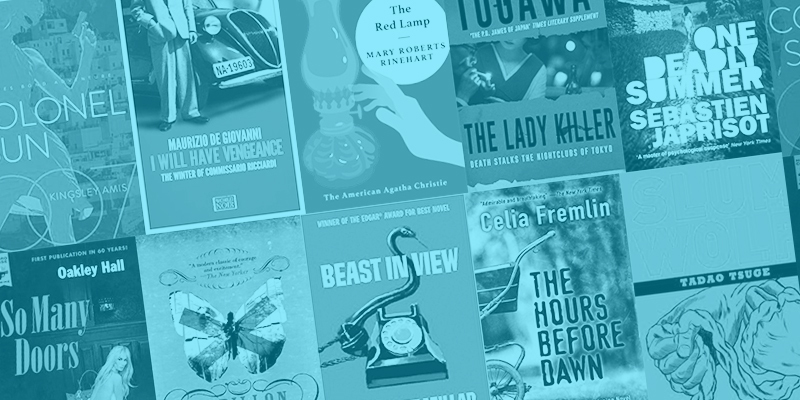 There’s plenty of crime picks from the usual suspects, as Syndicate Publishing, Pushkin Vertigo, Europa Editions, and Hard Case Crime continue to mine the lost classics of crime fiction for those most deserving of a new edition. 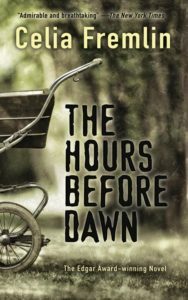 Dover Editions ramped up their crime and mystery reissues this year, and Penzler Publishers, founded by Otto Penzler earlier this year, issuing titles under its American Mystery Classics imprint. NYRB Comics, Gallic Press, and Pegasus books deserve a special shoutout for their unusual choices when it comes to reissues (you’ll see when you scroll), and we applaud each and every publisher dedicating resources to keeping the classics alive, especially in a nation where government funding is woefully absent when it comes to keeping great works of fiction in print. Now, can someone PLEASE reissue Miami Purity? 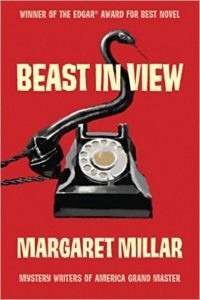 The story of Beast in View is the story of how it takes a village to keep a woman in print. Margaret Millar’s Edgar-winner, after a long time out of print, was brought back into circulation in the Library of America’s collection of reissued noir classics a few years ago, Women Crime Writers: 8 Suspense Novels of the 1940s and 1950s, then reissued again as part of Syndicate Books’ omnibus collection of Millar’s work, then reissued again as a single volume earlier this year, again by Syndicate Books. You can read an excerpt from the reissued classic here. This is the second of Pushkin Press’s ongoing project to reissue the crime fiction works of writer, actress, nightclub singer, and gay rights activist Masako Togawa. In this, her most famous work, a man dressed as a woman is killed by a passing bus, and a mysterious woman waits for years for his return. Flashbacks to before his death gradually reveal the outlines of a terrible tragedy, while commenting on a gendered landscape. You can read an excerpt here. 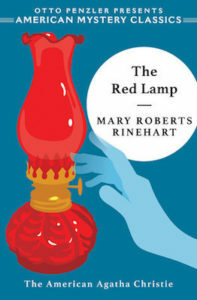 With an introduction from Otto Penzler, and published as part of Penzler’s new series of reissues, American Mystery Classics, this reissue of The Red Lamp is a labor of love, and a fine tribute to one of the pioneers of American mystery fiction. The American Mystery Classics series will also include reissues of classic works by Ellery Queen, Clayton Rawson, Dorothy B. Hughes, Craig Rice, and many more. Read an exclusive excerpt here. While Sebastien Japrisot is best known here in the states for his romantic novel A Very Long Engagement, adapted to film in 2004 as a vehicule for Audrey Tatou, his other works veer more towards the psychological thriller and classic noir. 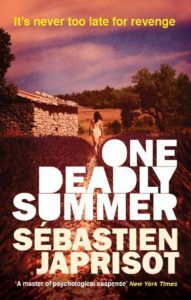 One Deadly Summer, a sultry masterpiece set during a hot summer in the South of France, recounts the tale of the mysterious and destructive Elle, played by Isabelle Adjani in the 1980s film adaptation. Read an exclusive excerpt here. 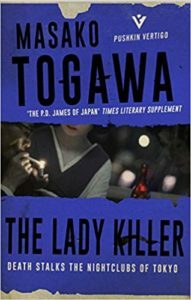 Tsuge’s bleak post-war childhood, and the down-and-out characters he encountered in their daily struggles for dignity and survival, are the subjects of the noir graphic stories collected in this anthology of his work. 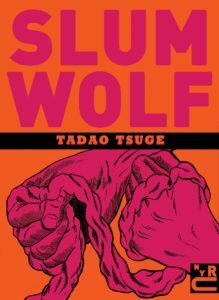 Slum Wolf is proof that you don’t need a murder to be noir AF. Of particular note to this audience is the recurring character of Sabu, a former kamikaze pilot who survived the war only to live life on borrowed time as a street fighter. Read an exclusive excerpt here. 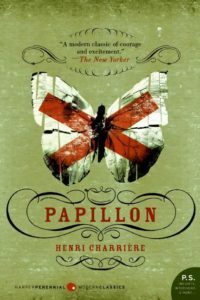 While some of us may not have thought of this book since the days when Dustin Hoffman was an action star and you could have a 3.5 hour long film about a bromance written by Dalton Trumbo and call it an action movie, our societal love for Papillon is now stronger than ever, thanks to a new reissue of the classic tale of escape, and a new film that is much shorter. Can Charlie Hunnam hold up to Steve McQueen, and what accent will he use?!?! We have many questions. But mainly, we just want people to forget about both movies and read the darned book. As part of its re-launch of the World Noir series, Europa has been re-issuing the novels of Maurizio De Giovanni, who was discovered as part of an unpublished author contest in Italy, and whose Commissario Ricciardi series has recently gone on to become an international phenomenon. 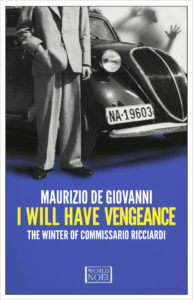 I Will Have Vengeance is the first in a series set during the pre-WWII period in Italy, so it’s a good place to jump into De Giovanni’s work. The series is a scathing look at Italy’s descent into fascism—a gritty and cynical portrait of Naples during a tumultuous and fateful era. And if that weren’t atmospheric enough for you, I Will Have Vengeance follows the investigation of a murder inside Naples San Carlos opera house. A perfect summer crime read. Oakley Hall, if he’s remembered at all these days, is generally thought of as a literary western novelist along the same lines as Charles Portis, a perception bolstered by New York Review of Books’s reissue of Warlock, Hall’s brilliant (although strangely titled) historical retelling of the Battle at the OK Corral. 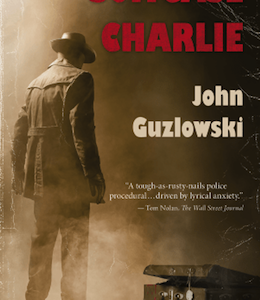 Hard Case Crime aims to change this idea, or at least bolster the memory of Oakley Hall, by reissuing So Many Doors, Hall’s salacious, hard-boiled journey through Southern California during the Great Depression. Read an exclusive excerpt here. 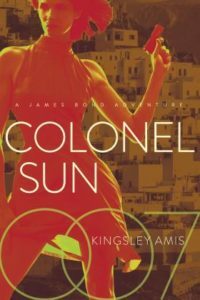 Kingsley Amis’ bizarre take on James Bond and his adventures is, perhaps, just what happens when you hire a communist to continue a series mainly popular for its wham-bang attitude towards Britain’s international affairs, but that doesn’t make this volume any less fun to consume than it’s more normative companions in the series. Full of scruffy secret agents, surprisingly pleasant Soviets, and everything else a disenchanted Bond fan could want! Read an exclusive excerpt here.